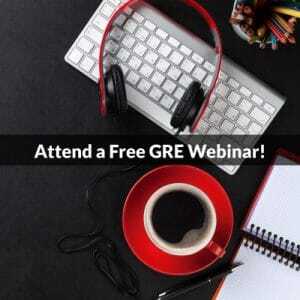 GRE Verbal sections include, on average, ten Reading Comprehension questions. Several of these Reading Comprehension questions include principles of argumentation, critical reasoning skills that test your ability to identify conclusions, premises, and the structure and strength of different claims. Some of these tasks test your ability to strengthen, or help, an argument. Others test your ability to weaken, or hurt, an argument. There is a question task that occurs on the GRE that requires students to consider both these ideas simultaneously. At PowerScore, we call these Evaluate the Argument questions, and for these you must consider two different possible outcomes. Evaluate the Argument questions present you with a scenario that contains an argument or hypothesis. Once you identify the claim, you must determine what kind of information would most help you to determine whether the argument is sound or unsound. These questions can be difficult because we don’t know exactly what the missing information will be! Therefore, it is helpful to employ a technique called the Variance Test™ in which you consider extreme alternatives to the answers presented to illustrate how different information may help or hurt the argument presented. Start by analyzing the stimulus to identify the conclusion and premises. We have some evidence that better healthcare may be why Townesville’s life expectancy is higher, but are we completely convinced? No. There could be some other reason for the difference in life expectancy (this question tests principles of causal reasoning). Prephrase to anticipate what kind of information might help us know whether or not the author’s reasoning is sound. Some ideas could be whether a high proportion of residents of the surrounding areas work in dangerous occupations or whether Townesville residents engage in healthier lifestyle habits, on average, than do residents of the surrounding areas. Next, consider the answer choices. This is the credited response. Use the Variance Test to think about this question from both sides. What if Townesville just quadrupled in size over the past couple years? Could we attribute the higher life expectancy to healthcare access? Unlikely. The vast number of new residents would not likely benefit already from Townesville’s healthcare system. There must be some other reason for the high life expectancy. In contrast, consider the other extreme. What if Townesville’s population size has remained constant. In this case, while we still might not know for sure that healthcare is the factor making a difference, we have at least ruled out a confounding factor in Townesville’s higher life expectancy and thereby strengthened the argument. While we might think it could be helpful to know the doctors’ specialties, the problem does not provide us with any information to determine whether some specialties are more beneficial to life expectancy than others. Any assumptions we might make about specialties would be outside the scope of the test. We also might know that in real life women generally live longer than do men. Therefore, we might suppose a higher ratio of women to men might explain the difference in life expectancy. However, there are two problems. First, we would also need to know the relative ratio of women to men in the surrounding areas. Second, as with answer B, we cannot bring in outside knowledge about the relative life expectancy of women and men. Having a high or low number of fast food restaurants might present another possible explanation for the difference in life expectancy. However, as with answer C, we would also need to know the relative number of fast food restaurants in the surrounding areas. In addition, we would have to be careful not to bring in outside information about the effect of fast food on health. This answer reminds us of our prephrase about dangerous work. However, the answer also shares the same problem that answers C and D had: it fails to compare rates of manual labor between the surrounding areas and Townesville. For example, maybe lots of people in Townesville work in manual labor too! Also, even if some people in the surrounding areas work in manual labor, there would not be enough information to determine whether these people would be enough to make a difference in the overall life expectancy. 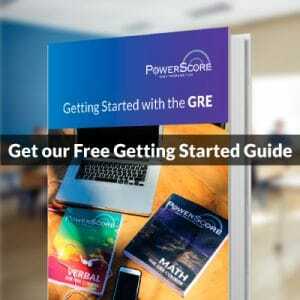 According to our analysis of the two most recent GRE PowerPrep Plus tests, Evaluate the Argument questions occurred twice. Out of forty total Verbal questions on these two tests, this is a significant number. Student reports have also indicated that Evaluate questions have occurred on recent GREs. The problem above is a challenging Reading Comprehension question, but with your strong analytical skills and preparation, you can solve even the most difficult Verbal tasks.